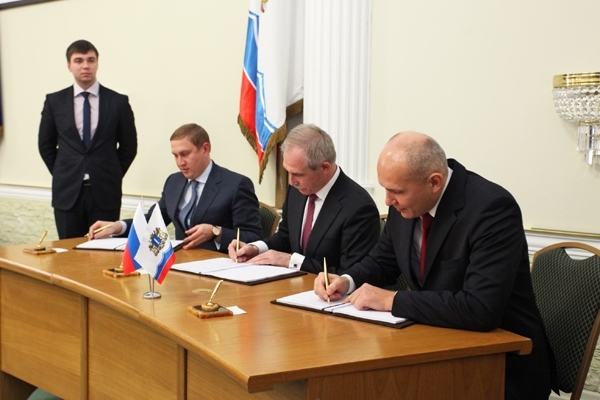 The investment agreement was signed in the city of Ulyanovsk for the project Schaeffler automotive and industrial components. The plan is to produce bearings for trucks and cars clutch, engine components and parts of the belt drive, as well as components for the rail industry in the Ulyanovsk region. Construction of the plant will begin next year and plans to start production in 2014. The enterprise is located in an industrial area, «Volga» (in Zavolzhsky near Ulyanovsk) and occupies an area of ? ?22 hectares. The total investment will be about 2 billion rubles (50 million euros). The project will create at least 450 jobs in the coming five years. Future production volumes are not been disclosed. Schaeffler is a private company, one of the largest global manufacturers of bearings and auto parts. Headquartered in Herzogenaurach (Germany, Bavaria). Schaeffler is active In Russia since 1997. Currently in Russia there is only one large foreign bearing producer, the newly established railway bearing plant of SKF in Tver.